Home decor is a work in progress according to a recent Houzz survey and the master bath is no exception. 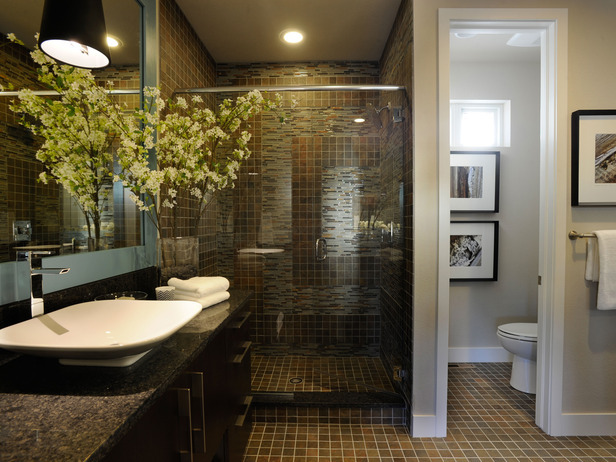 When it comes to renovation, bathroom remodels provide one of the highest rates of return on investment. A mid-range bathroom remodel recoups 72.5 percent during resale, according to Remodeling Magazine’s 2014 Cost vs Value report. Master bath trends for 2015 incorporate function and luxury as we highlight some of the hottest trends below that will insure your next renovation project remains enjoyable and current for years to come. Zen-Like Designs meet a contemporary aesthetic. 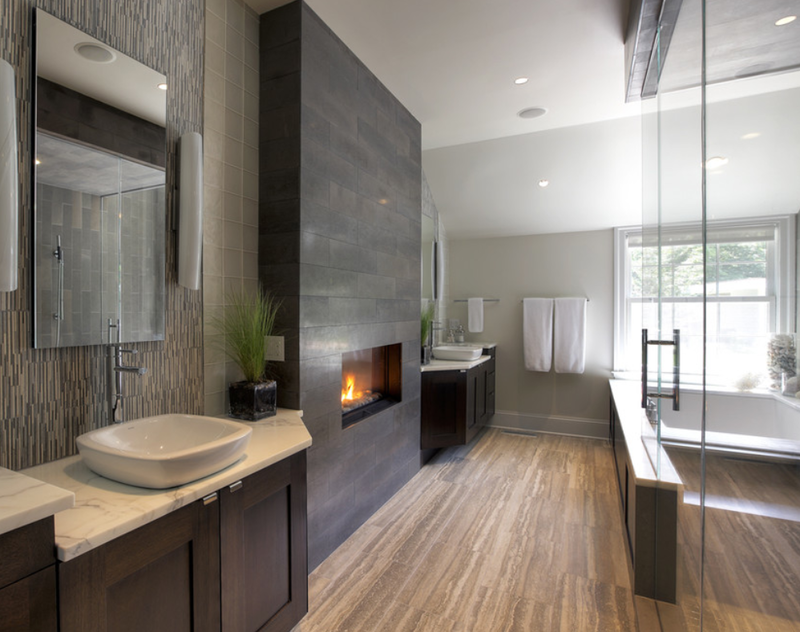 Homeowners want to embrace modern designs with uninterrupted sight lines that give master baths a spa-like feel with upgrades that make them look and feel their best. Features such as programmable water features and smart televisions are offset by the use of organic textures and marble. Subway Tiles reign not only for its durable, beautiful and water resistant qualities but for its modern offerings today and wide array of colors that add personality to your tile design. Popular subway tile colors include slate gray, cobalt blue and winter white. Tile experts mix tiles to create one-of-kind designs that remain timeless. Ultra-Clear Glass brings luxury into the master bath by creating free-flowing light and an open, airy spa-like feel. This advanced glass in high demand for shower surrounds. 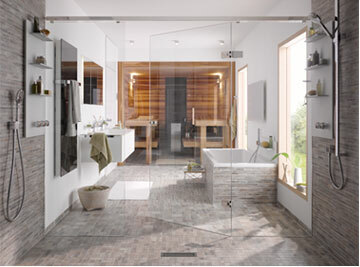 Clarvista Glass is treated with a proprietary protective coating that makes the shower enclosure super smooth and easy to clean and keeps it sparkling clear for the lifetime of the glass! Radiant Heated floors increase comfort by preventing cold feet when enjoying your master bath. 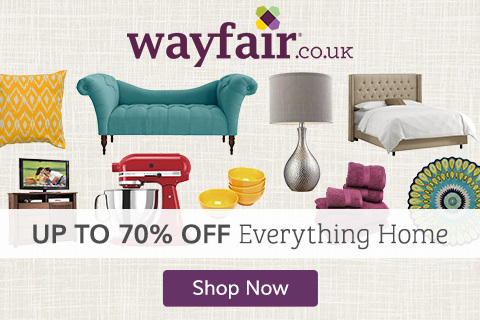 A must have especially if you live in colder climates where winters are lengthy. Electric radiant heat is typically installed under tile flooring and can be regulated with a temperature gauge. Spa-like Showers create a personal escape from the stresses of daily life. Personal time is enjoyed in this oasis type feature that can include upscale features such as steam showers to multiple shower heads. Modern Metallics are on the rise and are an easy way to add visual interest and style. Higher end bathrooms feature metals that convey interesting colors and textures, such as oil-rubbed bronze and brushed nickel. Brass tones are making a comeback in warm-colored copper that add richness to the entire bath design. Lighting Fixtures are bold, large and full of personality for the master bath. 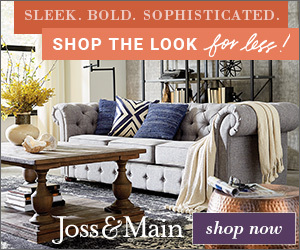 Used as a statement maker we are seeing a full range of style from glamorous crystal chandeliers to clusters of hand-blown globes or drum pendants made with laser-cut metal. 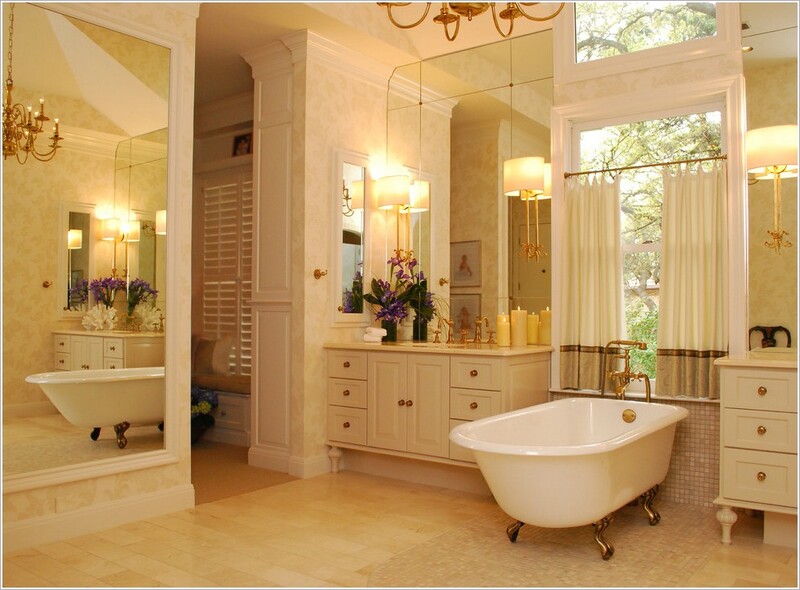 Lighting fixtures are the finishing touch to great bath design. 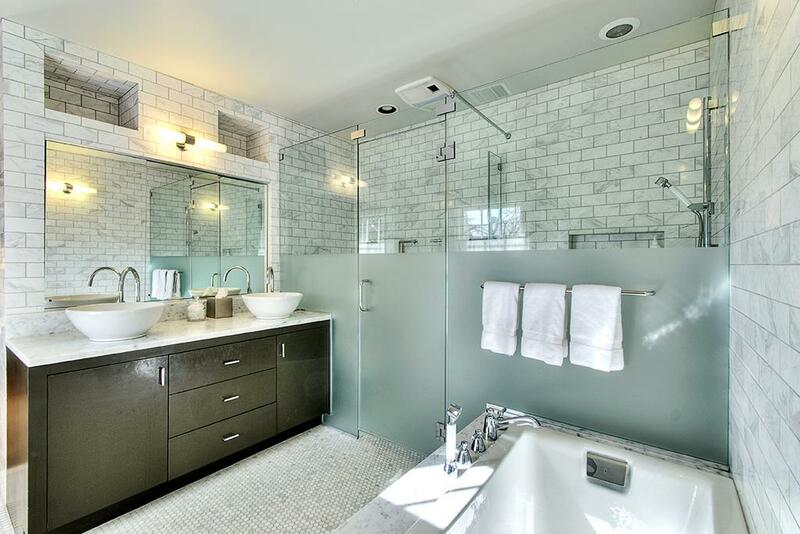 Be sure to incorporate some of these master bath trends into your renovation project!